ExpoImaging, creators of the innovative FlashBender 2 shapeable light modifiers for speedlights, has today announced availability of the Rogue FlashBender 2 Mirrorless Soft Box Kit – a versatile and portable new light modifier for photography professionals. Specifically designed for compact and mirrorless flashes like the Nikon SB500, the Nissin i40 and the Olympus FL-600R, the new FlashBender 2 Mirrorless Soft Box Kit includes a FlashBender 2 Micro Shapeable Reflector and a Micro Diffusion Panel. The kit has been optimised to handle the light output from smaller flash units. When used with on-camera flash, the FlashBender 2 Micro Reflector creates a larger, softer light source than the bare flash and allows directed bounce off ceilings or walls. Off-camera, it can be used to shape and control the main, background, hair, rim, or accent lights. 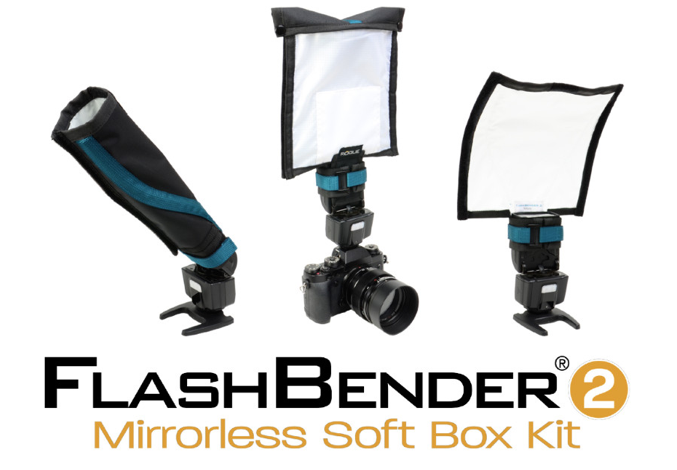 Once the Micro Diffusion Panel is attached, the Rogue FlashBender 2 Mirrorless Soft Box softens light, while reducing contrast and specular highlights. Packs flat to easily fit into any small camera bag. 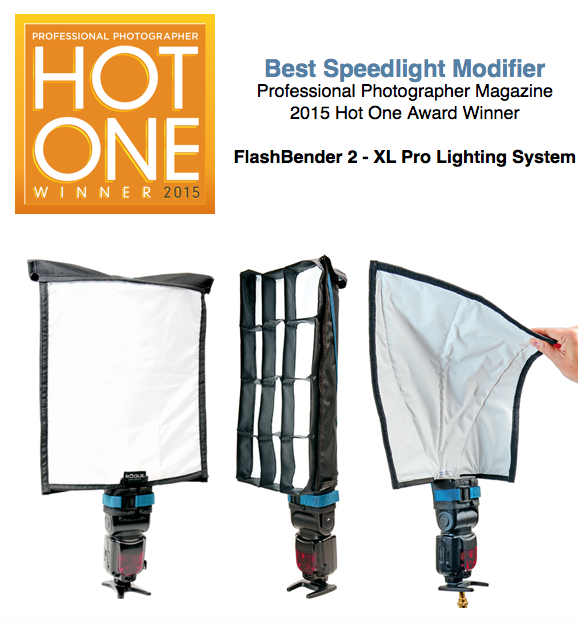 ExpoImaging recently won the 2015 Hot One Award for Best Speedlight Modifier from Professional Photographer Magazine for the Rogue FlashBender 2 XL Pro Lighting System. The award-winning kit includes the FlashBender 2 XL Pro Reflector, the XL Pro Strip Grid Attachment, the XL Pro Soft Box Diffuser Attachment and a travel bag. The Rogue FlashBender 2 Mirrorless Soft Box Kit is available to purchase through leading photography retailers and is distributed exclusively by Color Confidence. 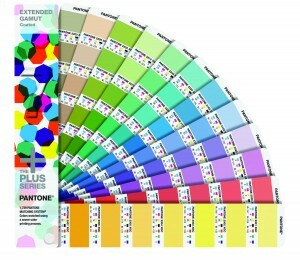 For further information about the Rogue FlashBender 2 range, and to purchase your product, visit: www.colorconfidence.com. This entry was posted in ExpoImaging, General News, Lighting, Photography and tagged Color Confidence, ExpoImaging, Lighting, Photography, Speedlight on October 30, 2015 by Color Confidence.